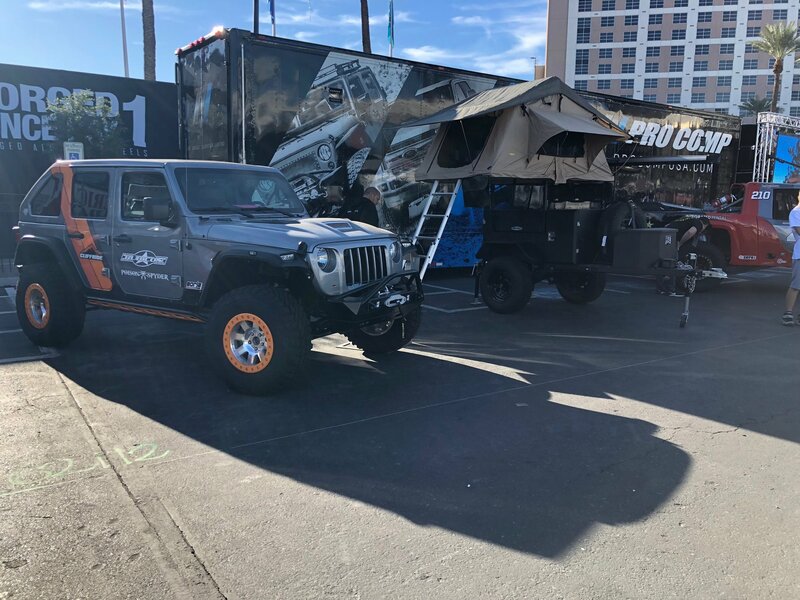 LAS VEGAS — Sara Williams stood in the shade just outside the Las Vegas Convention Center’s North Hall on a recent Wednesday afternoon, and quietly admired the polished black Jeep JL Wrangler Unlimited. Or, at least, it appeared she was admiring the Wrangler. In reality, Williams was checking out the large, expansive gray tent perched on top of the Wrangler. 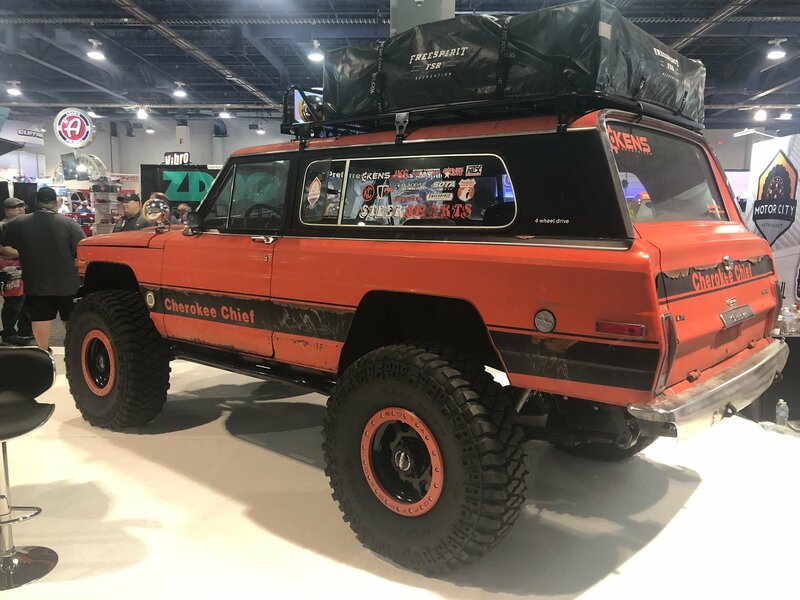 Williams, in town from Denver, Colorado with relatives attending the 52nd annual SEMA show, poked around the ladder and checked out different attachment points the same way others in the area were checking out tires, bumpers or fender flares. 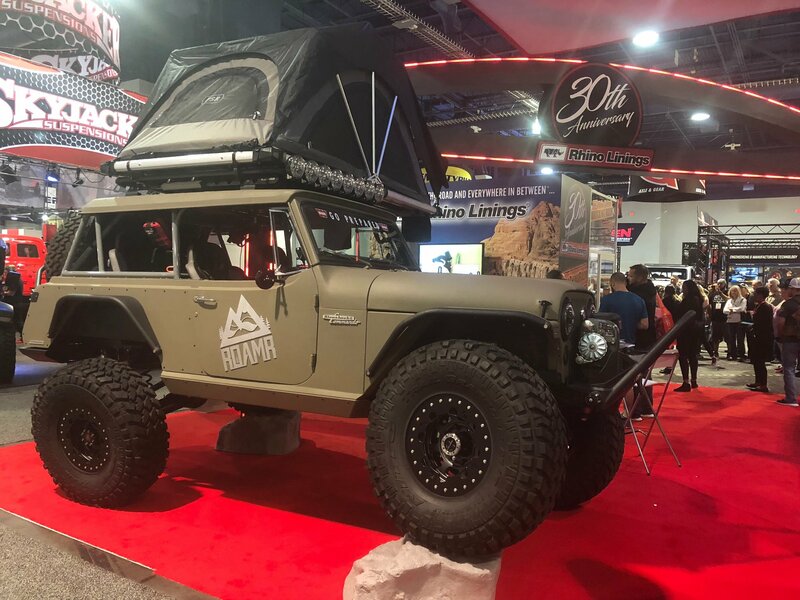 Williams is one of the many, the vast many, fueling the continuing popularity of overlanding products and displays during this year’s SEMA Show. In any direction, inside or out, you are almost guaranteed to see something directly, or indirectly, related to the overlanding concept. 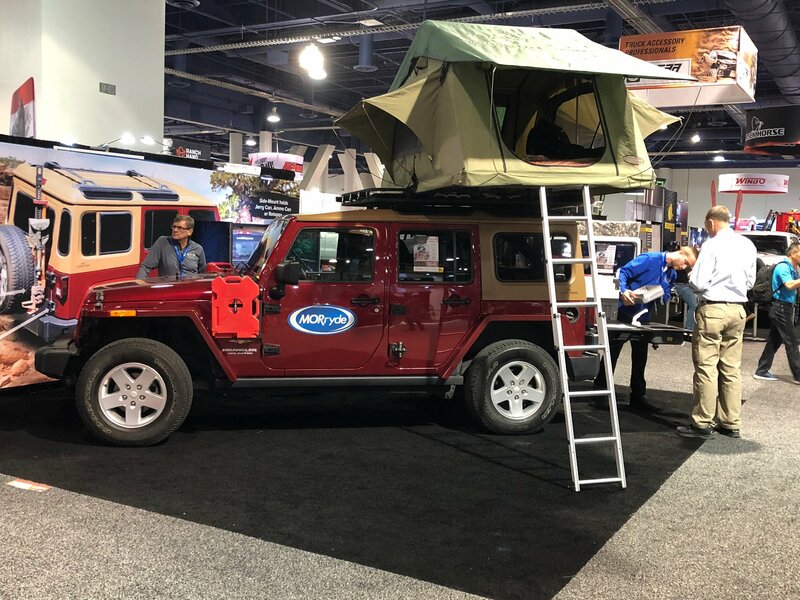 From roof tents, to trailer tents, interior mattress configurations, ladders, coolers, slide out kitchen units, navigation products and more. All things that have gone from merely a fringe category just a few years back, to pretty much center stage these days. 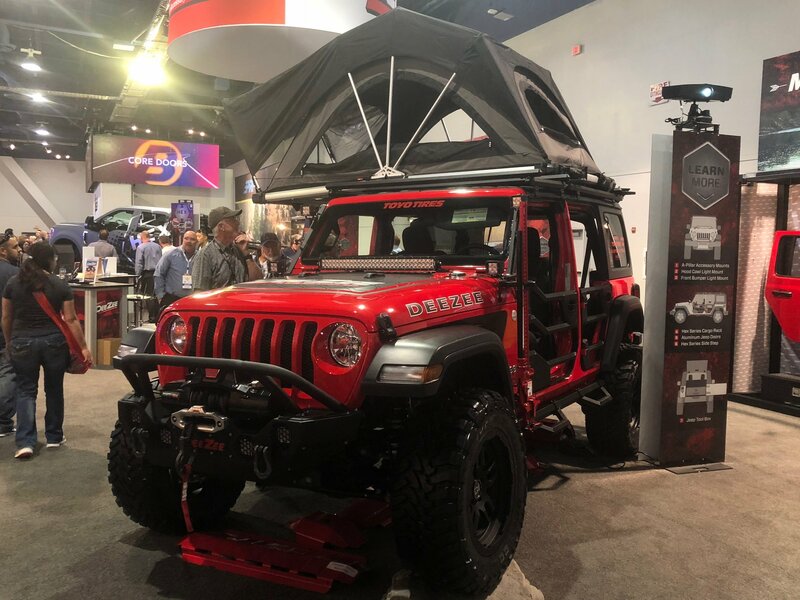 Mainstream, really, and backed by top industry brands like ARB, Dometic, Smittybilt, Yakima, Napier, Tepui as well as a host of others looking to capture part of this rapidly emerging market. So for those new to the game, what exactly is overlanding, and what makes it different than a weekend camping trip to an area off road park or trail complex? Well, technically, overlanding is ‘self-reliant adventure travel to remote destinations where the journey is the primary goal, according to Overland Journal. Typically, but not exclusively, this voyage is done with a high clearance, off-highway capable, 4x4 vehicle and the principal form of lodging is camping; often lasting for extended lengths of time like months or even years. Conversely, an overnight or weekend trip to the local mountain range or forest on a well-documented route, staying in an established campground with full-hookups, is not considered a real overland adventure. It is a backcountry trip or at the very least, car camping. Nothing wrong with that. 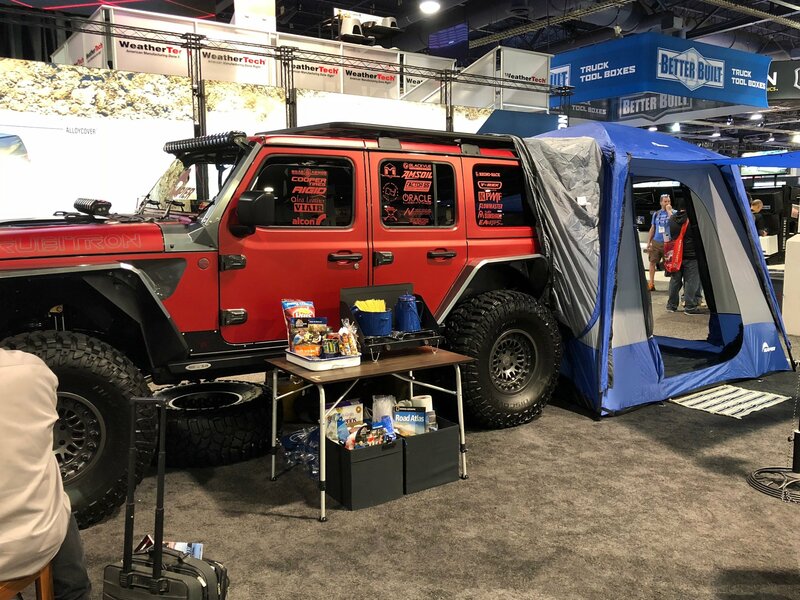 And in reality, for many people these days, overlanding is considered packing up their Jeep with outdoor essentials, heading off-road for a night, weekend, or week, and living out of their vehicle during the adventure. 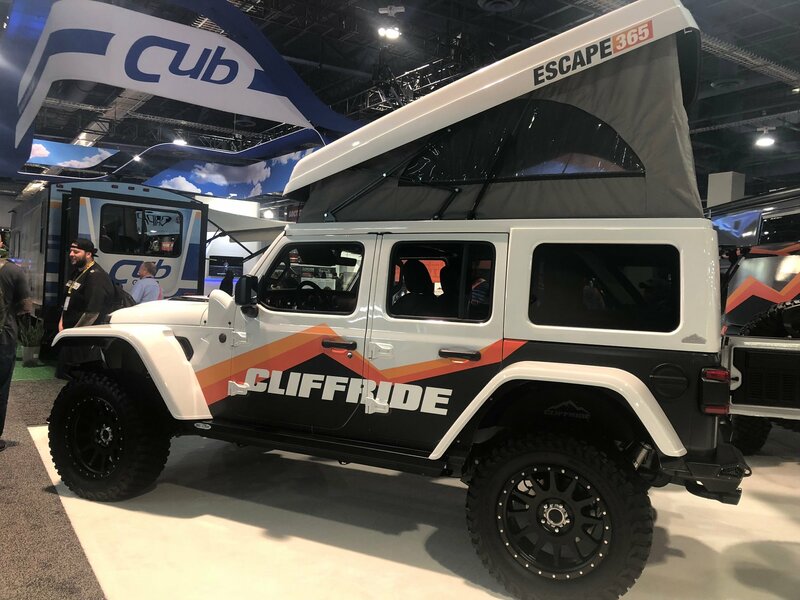 But unlike standard camping, where you bring just your vehicle, tent and a few other essentials like food and water, an overland adventure involves quite a bit more of that packing to ensure a successful adventure. 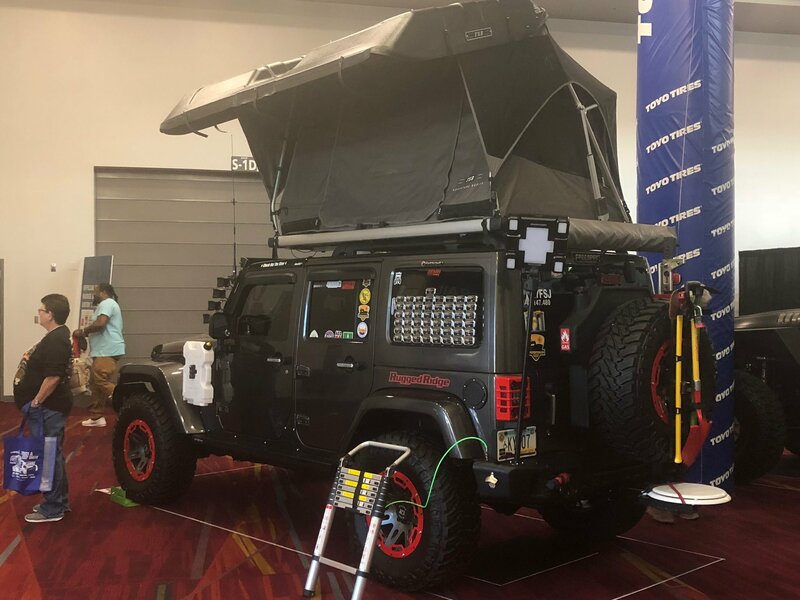 Products like a strong off-road capable GPS or other navigation system, stove, power system such as a solar-powered generator, water filtration, Gerry cans for additional fuel and water, storage bags for food, clothing and recovery gear, first aid kits, fire extinguisher, vehicle maintenance products and a good, spacious rooftop tent. 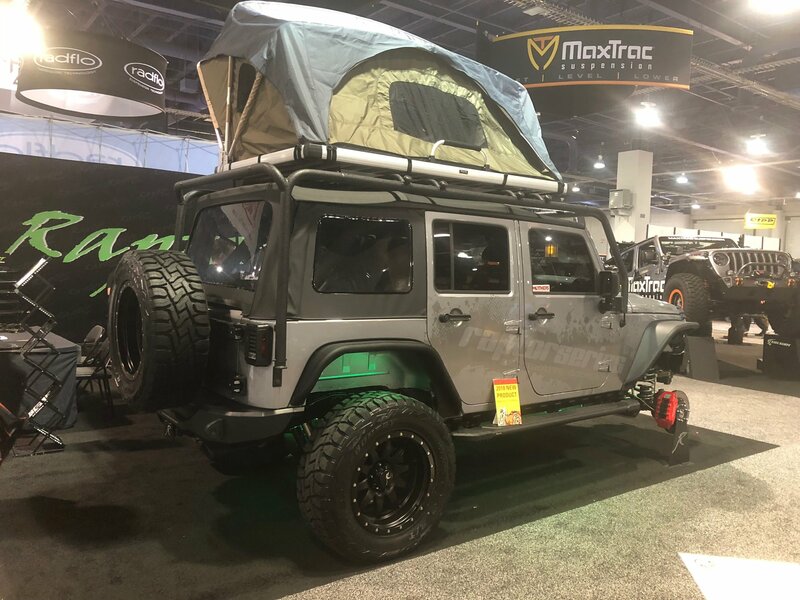 And in reality, that is exactly what numerous vendors at SEMA this year are banking on as the overlanding popularity wave keeps growing. 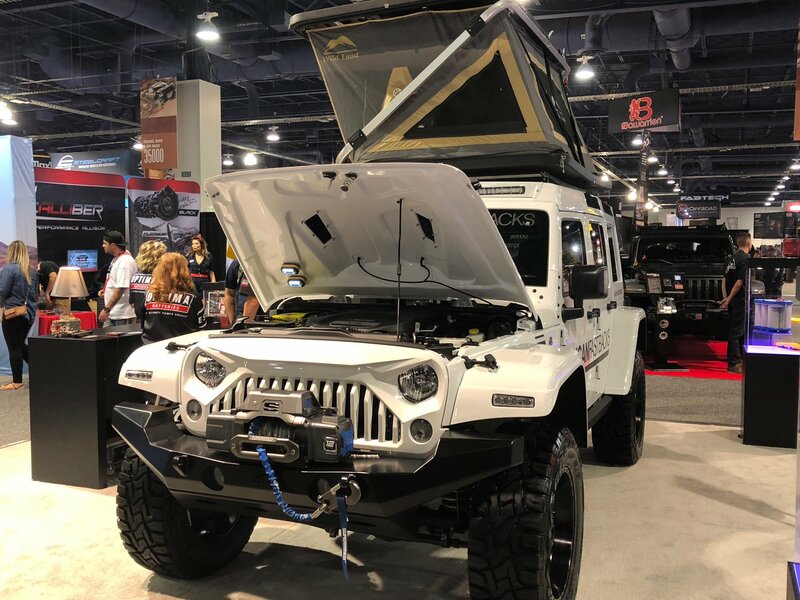 It also helps that more Jeeps than ever are being sold, and more and more information is now out there on how to have a great time with that new Jeep. 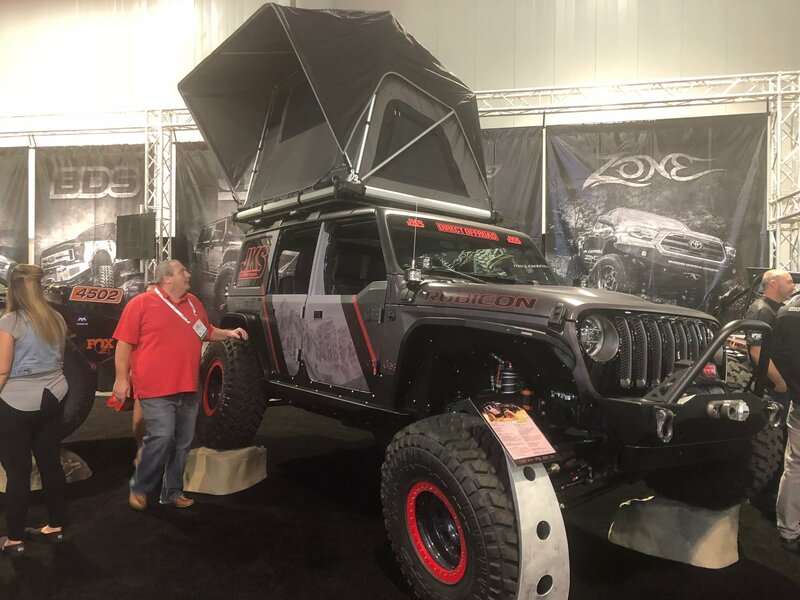 Between social media sites, Jeep clubs, and even vendors showing off new products, it doesn’t take long to captivate a new Jeep owner on the wonders of overlanding. Mike Kelly, owner of New Jersey-based Wheelers LLC agrees. Kelly organizes several overlanding events during the year and attends many more. But when he started, there wasn't much to go on about overlanding. These days, Kelly continued, there is so much more available about overlanding and how to turn that interest into reality. 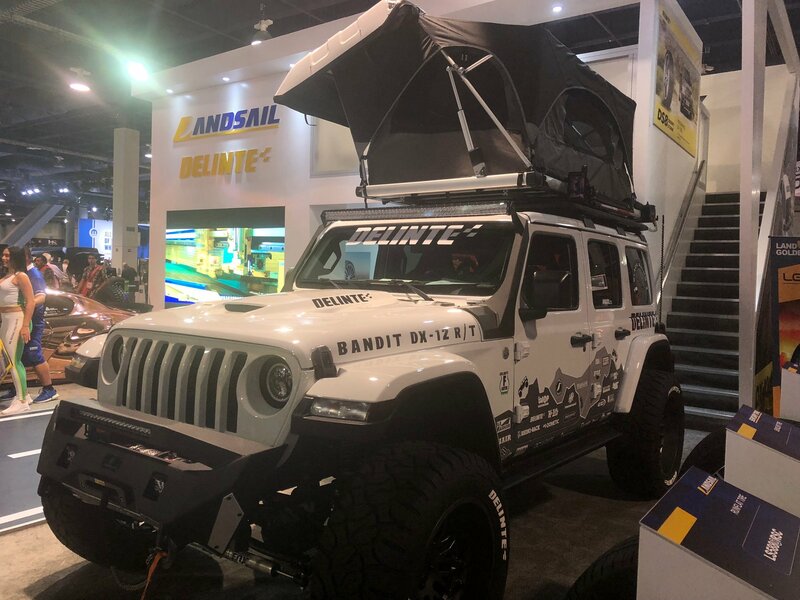 For most, that overlanding adventure begins with a tent – either a ground one such as Napier or Rightline, or rooftop versions from Smittybilt and ARB. Also important is a capable fridge system which can effectively store food and drinks no matter the exterior environment. Standard coolers may work for shorter trips, but fridge freezers from ARB, Dometic and Smittybilt utilize your Jeep’s battery to keep contents at whatever temperature you decide. These fridge systems can either use a rail setup to slide in and out of the tailgate area, or can be strapped down. Overland-type trailers are a hot item as well these days, and can be a perfect fit for those who take family members along for the journey. 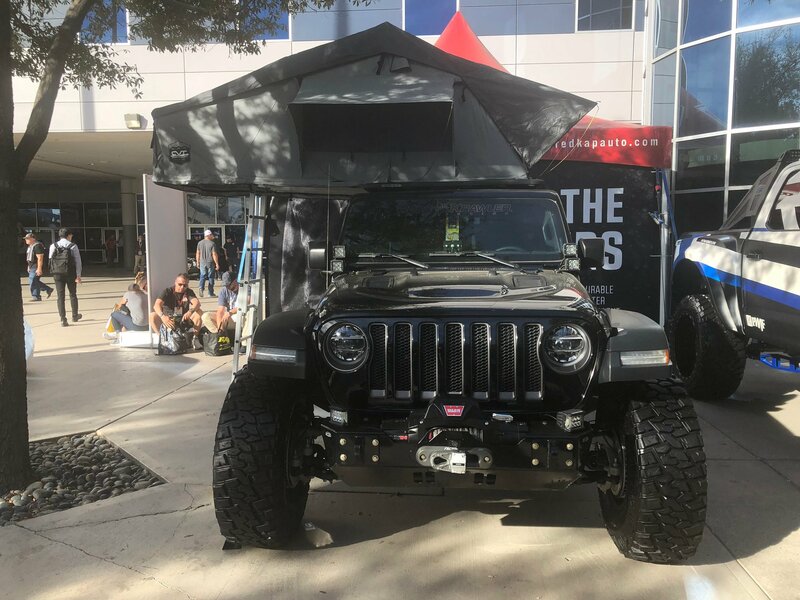 We all know how storage space is limited inside a Jeep, so these trailers – such as the Smittybilt Scout offer plenty of extra storage space for all essentials, while also including a generator, kitchenette cabinet and rails for the option of installing a rack system for kayaks or bicycles. Of course, overlanding also can include off-roading when traveling from site to site. 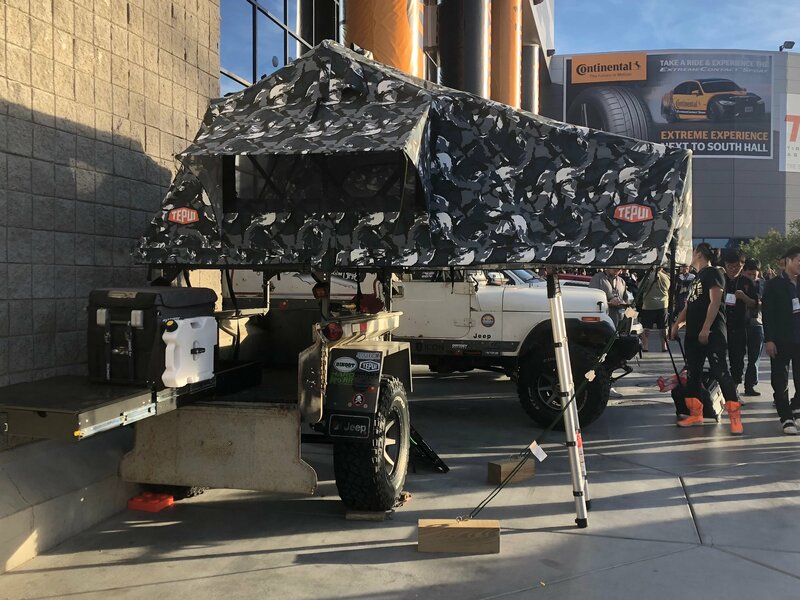 So having plenty of essentials like stronger bumpers, winch, recovery gear, on board air systems, tools and maybe even a suspension lift kit will all enhance the experience. 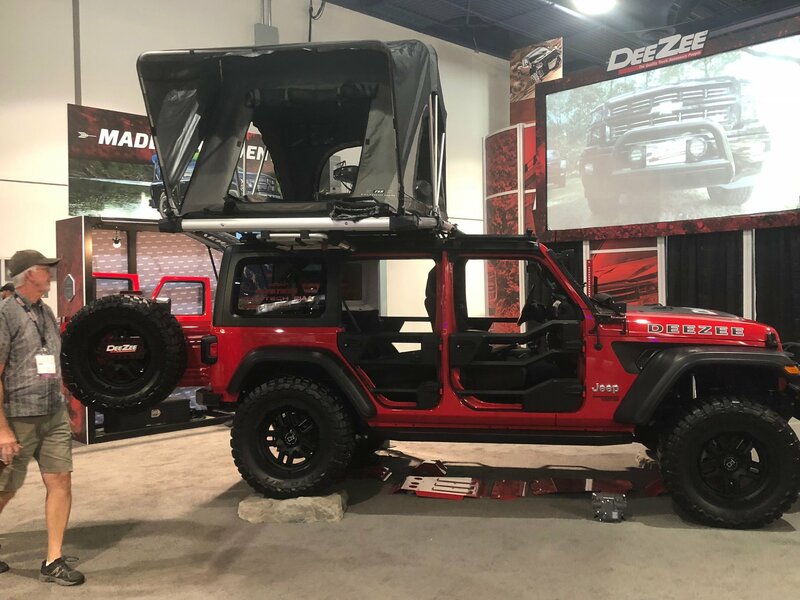 These were the type of products on display throughout all three convention halls during the recent SEMA show, and attendee Williams used those show displays and set ups as more than just something to look at while walking around the show. In fact, she said she plans to put those ideas to work.